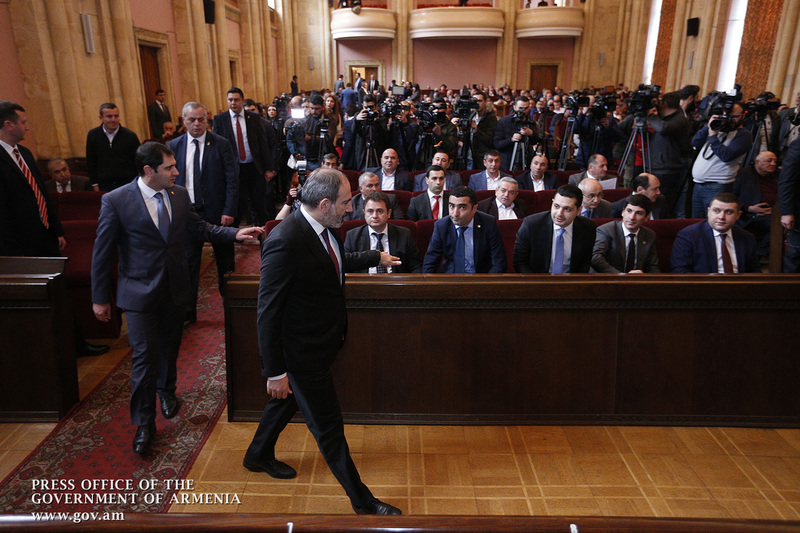 Today, Prime Minister Nikol Pashinyan partook in the “New Format of State-Community Cooperation: Infrastructure Development” conference. 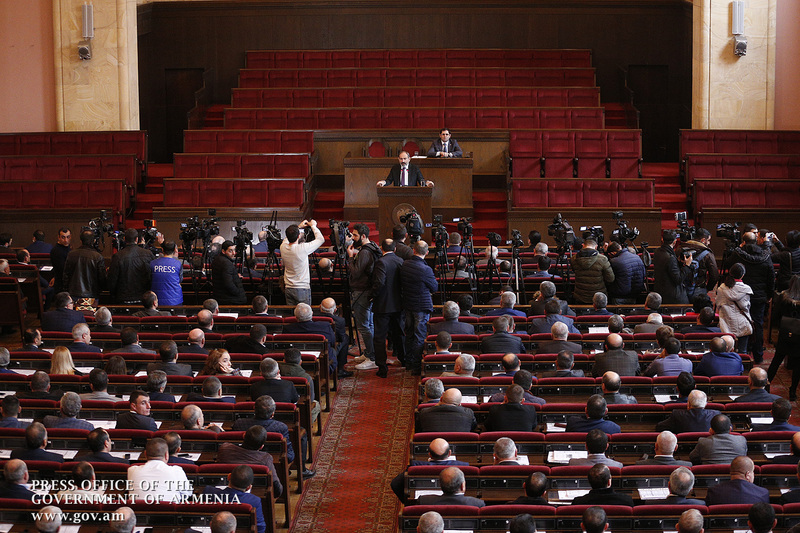 The conference was attended by marz governors, community leaders, representatives from local administrations and the United Nations Development Program (UNDP) Armenia office. 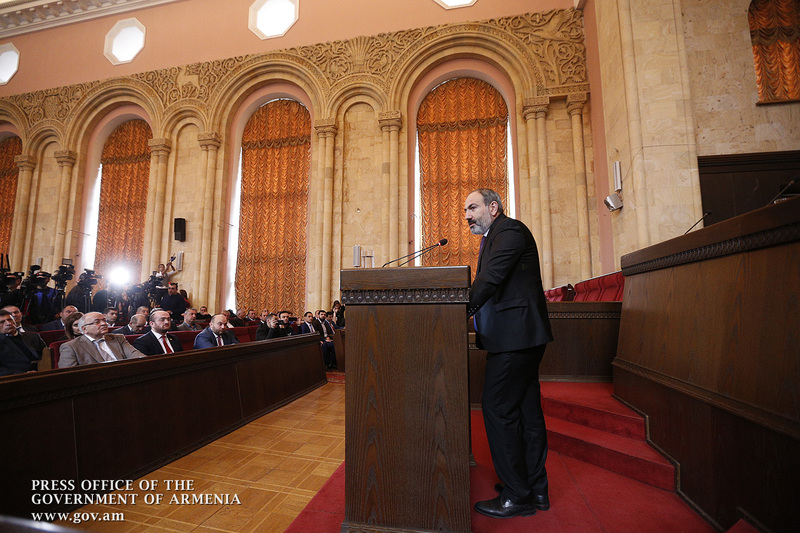 Prime Minister Nikol Pashinyan made a speech addressing the Government’s priorities in the field of territorial governance and development. 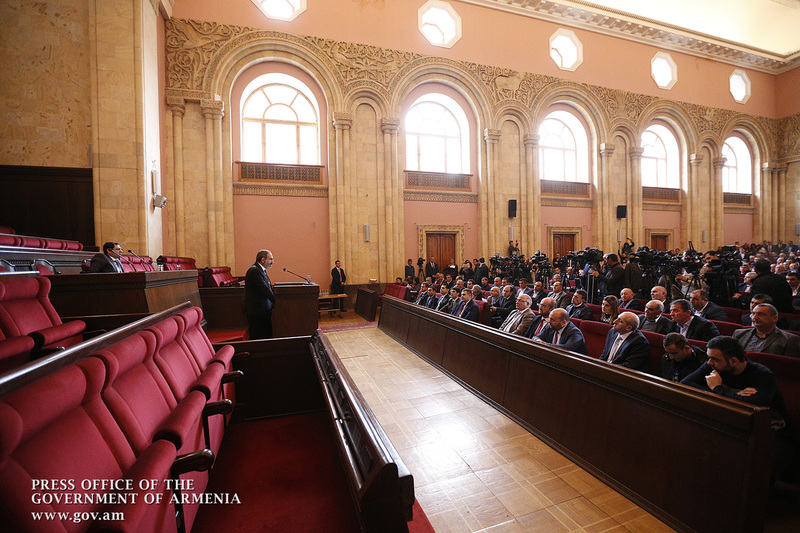 Welcoming the forum, the head of government noted that the socio-economic development of communities is the pledge of sustainable development of the Republic of Armenia. The Premier stressed that there are many problems accumulated in our communities, which need special care and daily work, but we should first of all identify the parameters to comply with in addressing the problems. 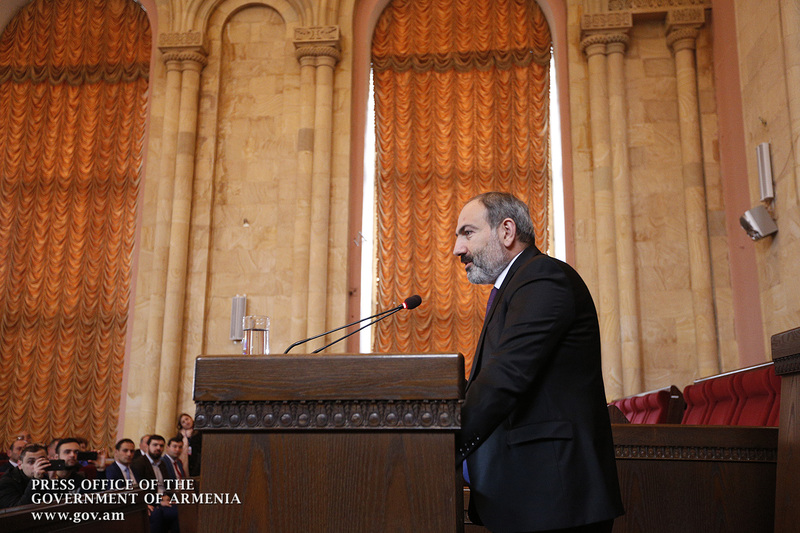 Nikol Pashinyan first touched upon the principles of community leaders’ activities as state officials. “In general, I do not like groupings, especially when people are characterized as members of a group or a layer. I want to say right away. 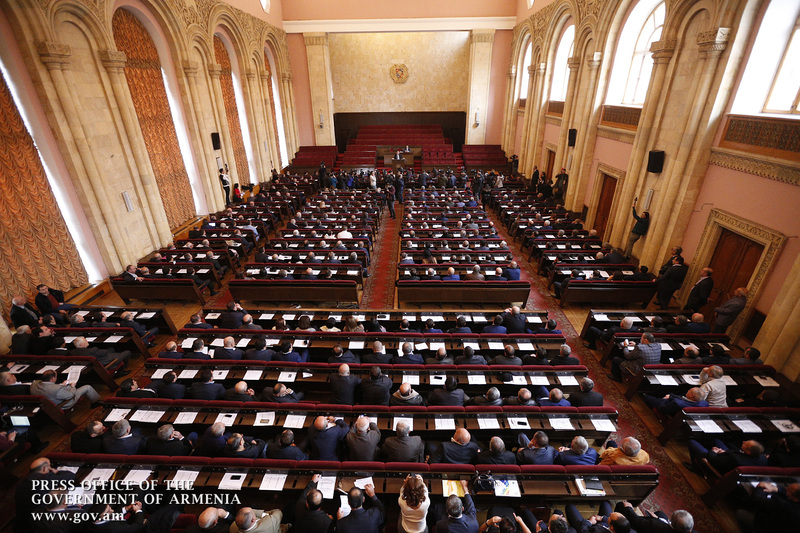 I understand that the leaders of communities in Armenia are very different, they differ in the way they have gone, their worldview, biography, merits, but I have to be honest and say that the image or public perception of the average statistical community leader in my perception and imagination is as follows: What does the community leader, mayor or village mayor do the next day after being elected: a process of property redistribution begins in communities so that their offices soon turn into real estate redistribution offices? Headquarter activists and other election contributors come in the first place: they need to be given shopping areas, plots of land, and so on, let alone the community leaders themselves. We keep talking about improving the investment environment in communities, but at least my long-term journalistic and parliamentary experience has shown that the key facilities in almost every community belongs either to the community head or the deputy mayor, and so on : This is, in general, an amazing reality, not just because it is so. It is as much surprising that this approach is tolerated by the public, and every time this approach gets some sort of electoral development because every voter, every electorate and activist hopes to expand his or her property. By saying everyday effort, improved work quality, I just mean this kind of social behavior. I would like to state very clearly that this approach is unacceptable to me, to the Government of the Republic of Armenia and the people of the Republic of Armenia. And I want to state clearly that the state service cannot and should not be perceived as a business activity not only by the prime minister, by a minister, but also by MPs, as well as by the heads of community or city council members. In their activities, public officials first of all should strive to multiply the public wealth rather than their personal or group assets. And I want to state once again that such phenomena are unacceptable in the new Armenia, and there can be no continuation of such phenomena. When we talk about the fact that in cities and villages it often happens that the facilities owned by community leaders are the most successful ones, we understand that there is a second reason for that just because it is a good opportunity to avoid paying taxes, from property tax to cash registers. Here we have a very serious problem, and the problem is that the mechanisms that have worked for many years continue to operate in many cases. Unfortunately, many still believe that a couple of months or a year after the revolution we might forget about why we have gathered and everything would start again. I ask you not to cherish such vain hopes: everything will not start again, and nothing will be returned to the old. I want to say this politically and economically in all respects. 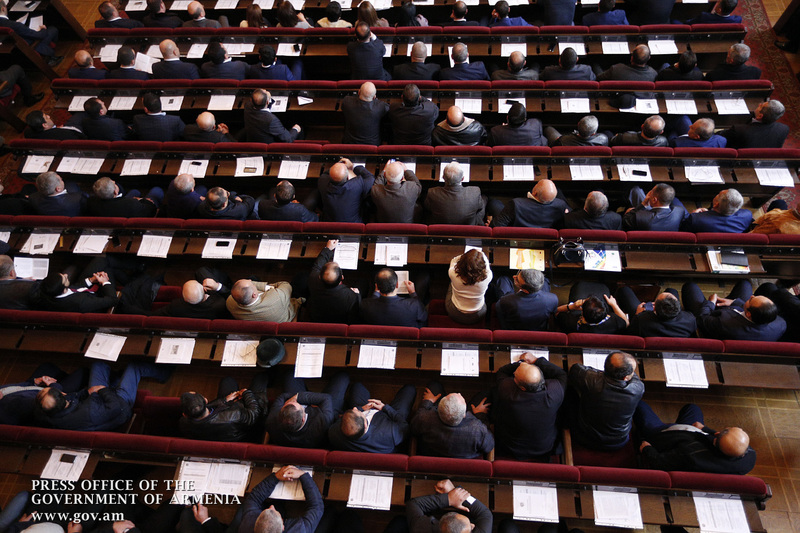 Vicious practices have no future in Armenia, and the only thing that will happen is the eradication of corruption. During this time, we have given many people, perhaps everyone, even those who will not benefit from it the chance to change the reality, therefore, the law enforcement agencies should deal with such people. The staffs of mayor’s offices feature uncle’s brother, uncle’s uncle, the friend of an uncle’s friend, a friend’s friend, etc, who never come to work. Stop saying that there is no money in Armenia; let us use money effectively, then think about the rest. I cannot claim that everywhere and everything is exactly the same. I am just talking about the traditions and perceptions that existed and still continue in our country. 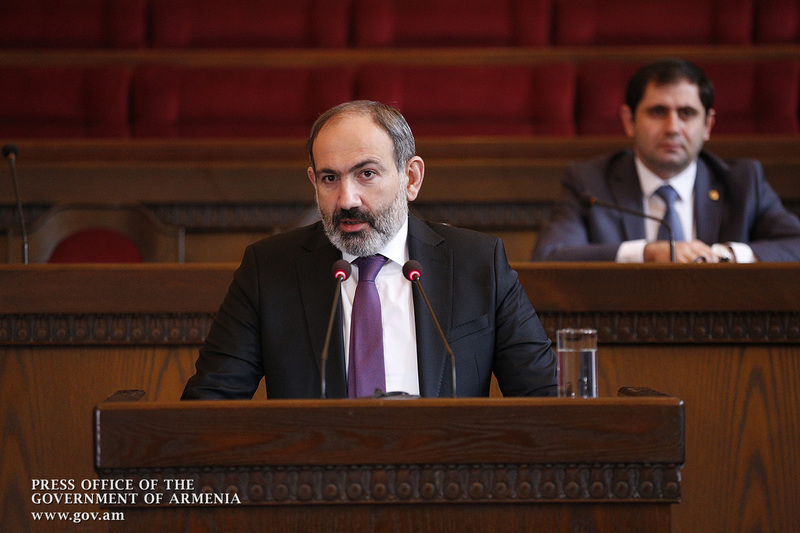 As the next important aspect of government-community cooperation, Prime Minister Pashinyan highlighted the need for doing consistent work on environmental protection and preventing pollution. 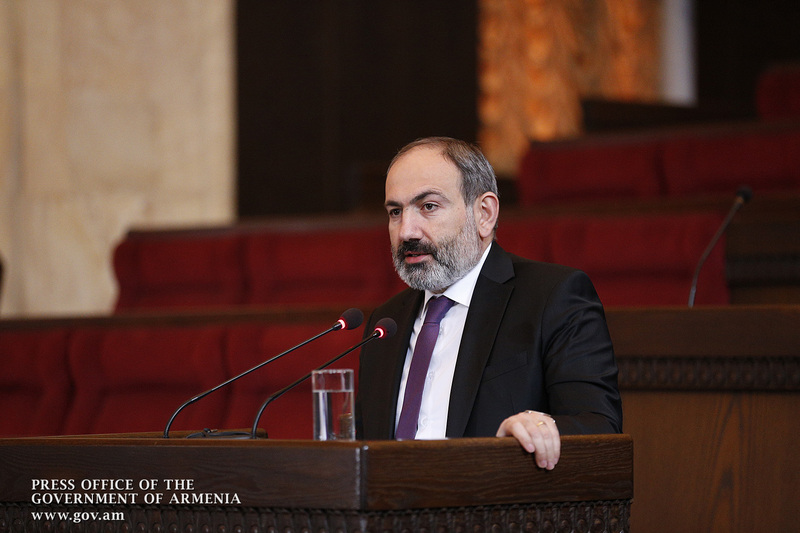 “At a recent Cabinet meeting, I said that I would consider significant changes in the Republic of Armenia when we manage to clear Armenia from garbage. This is really the area where the government and local self-governing bodies should cooperate. You may know that we have initiated and on March 23 we intend to implement an unprecedented cleanup campaign in the Republic of Armenia. Of course, this is not the first time we have done a cleanup. 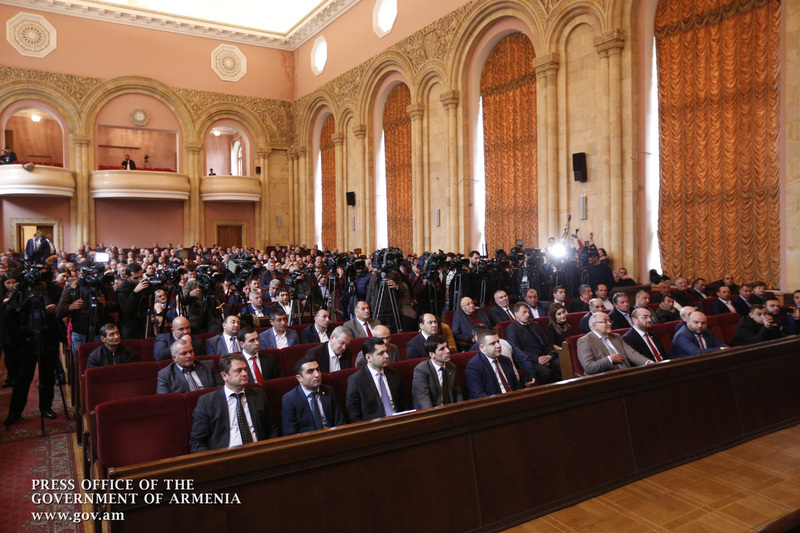 If I am not mistaken, the government implemented the Clean Armenia program two years ago, which is a very good idea. But now we have to try not to repeat the mistakes or omissions committed during the implementation of this program. To be honest, during last year’s march we could see the problems triggered by improper implementation of the Clean Armenia program. We made sure that often garbage had been collected and moved somewhere away from cameras. I understand that we are short of infrastructure in this sphere, but we have to agree that this weekend should be organized properly, so that we can not shift garbage from one place to another, but we can actually achieve significant sanitation. 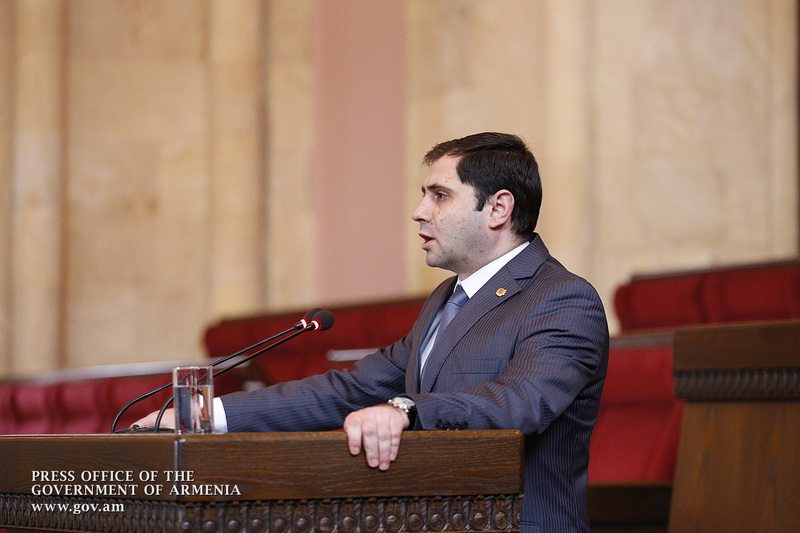 This is a crucial objective: our government has adopted a policy of bringing Armenia to the highest ecological standards, which implies more than compatibility with environmental standards; we need to address this problem at the level of individual households,” the Head of Government said. Subsequently, the Prime Minister touched upon the new order in the Government’s proceedings to provide subsidies for the development of economic and social infrastructures of communities. “The Government intends to allocate 10 billion drams in subsidies this year. Unfortunately, last year the local self-governance system was unable to master or submit relevant programs. We expressed readiness to allocate 10 billion or even 15 billion drams in subsidies last year, but the program was only partly implemented, and we could not reach the proposed target. Our goal is the following as the most important issue is the promotion of the investment environment and investment economic activity, we have a problem with infrastructure projects, which, of course, does not exclude other types of programs. 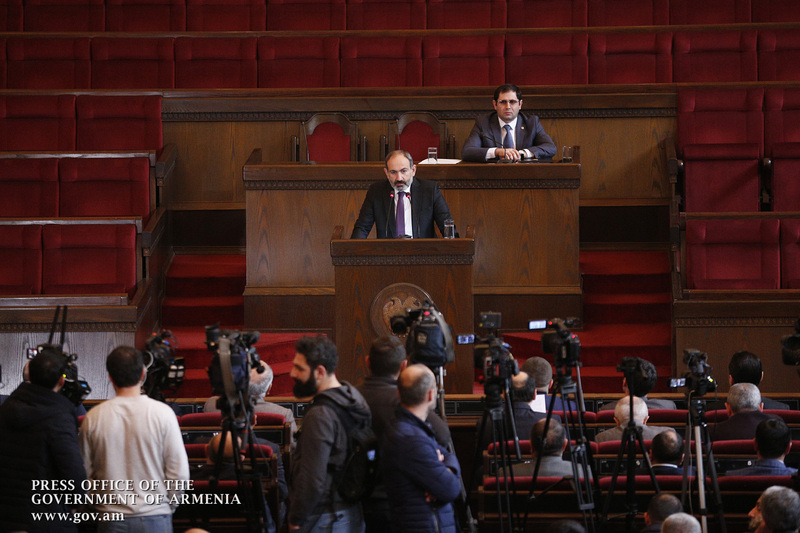 Nikol Pashinyan underscored that an important stage is being launched in the Republic of Armenia, which needs everyone’s personal contribution. 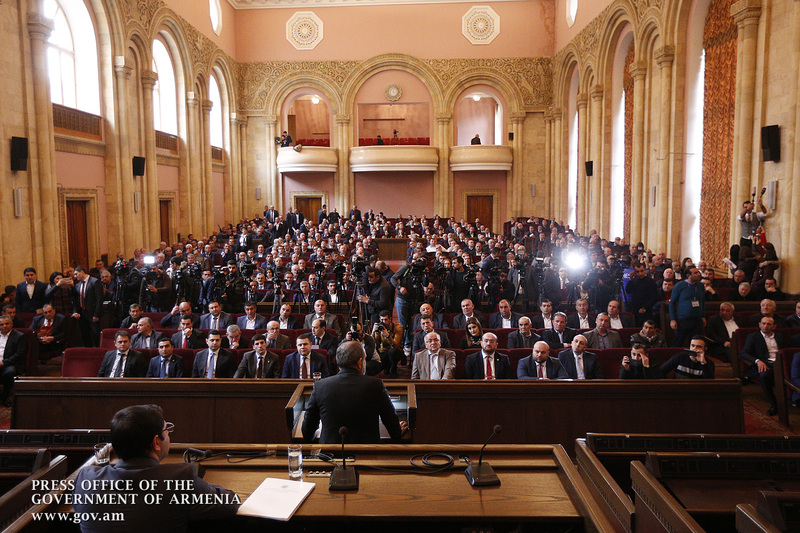 “There is no way back in the Republic of Armenia; the Republic of Armenia will go ahead and move forward at a very high pace. 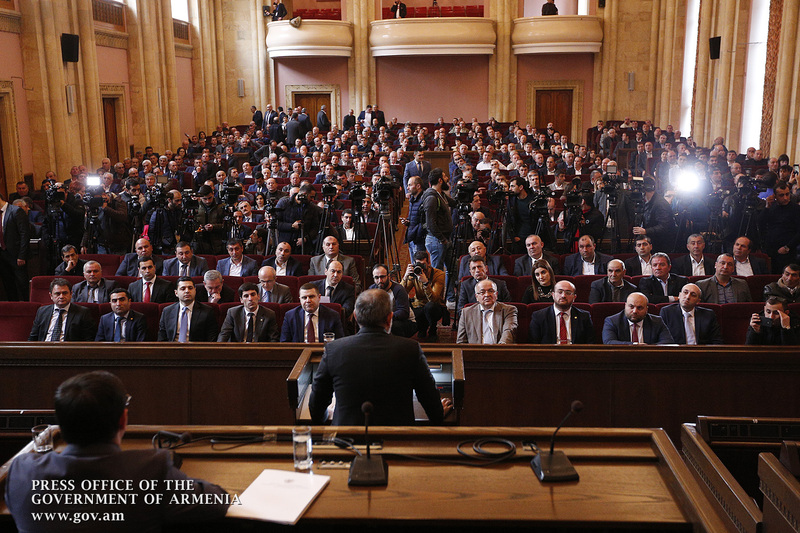 I urge all those community leaders who have their voters’ confidence to join us and build a free, powerful and happy Armenia,” the Prime Minister concluded. During the conference perspectives of community economic and social infrastructures development, new procedure for subsidizing, possible support of the UN Development Program in Armenia and other agenda issues will be discussed. The government’s subsidy program for the development of economic and social infrastructures in communities is a new form of community-state collaborative co-financing, which implies co-funding of some part of the cost of the program in case of a capital project submission and the government’s endorsement. Considering a project’s scope, peculiarities, geographical location, and its impact on the socio-economic situation of individual communities, the state will provide co-financing at the rate of 30-70% of the total cost of community infrastructure development-targeted projects.